If you have been working on home improvement projects recently, you will be glad to hear the ROI is coming back up when it comes to home remodeling. There have been tax benefits for homeowners, most notably energy tax credits, PMI deduction and mortgage debt forgiveness that Congress and the President extended through 2013. According to HouseLogic,"After several bruising years, spending on remodeling projects is up and so too is your return on your remodeling dollars. The national average percentage recoup on all 35 projects in Remodeling Magazine’s 2013 Cost vs. Value Report rose since last year." Obviously what you will be able to get depends on what types of projects you undertake, your market and when you decide to sell. Which projects offered the best ROI? 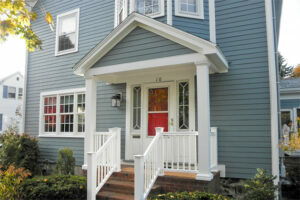 Exterior remodeling projects. According to HouseLogic, "Exterior projects like siding, window, and garage door replacements took seven of the top 10 spots in this year’s list." Exterior Specialties of PA is here to help with all of your exterior remodeling, roof repair, window installation and deck construction needs. Call us today at (215) 453-9180 for your FREE estimate.